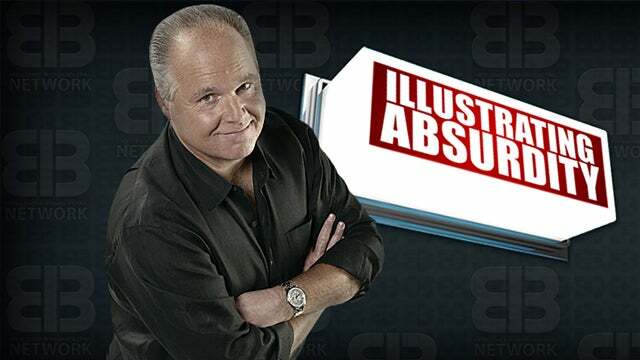 RUSH: By popular demand, we mentioned earlier the Starr Report and how after it came out because it was detailed, lurid details of Clinton’s sexual exploits — not just with Monica Lewinsky but with a whole bunch of women. And it was so lurid that the Democrats voted never again to release special counsel or independent counsel reports, that they had to first go to the attorney general, then to Congress and all that requirement, and that the grand jury stuff be redacted. They perfected it. They did everything they could to destroy Ken Starr during the investigation, so much so that we produced a parody to illustrate it. 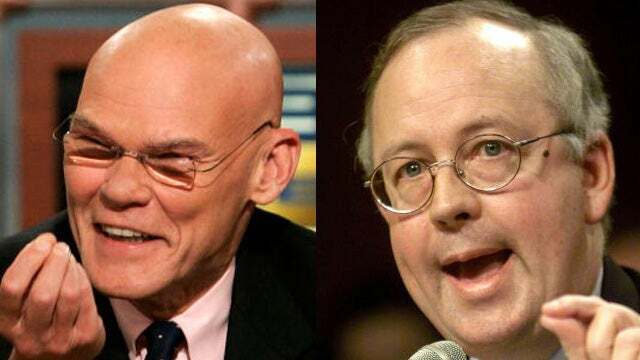 Ken Starr and Larry King Alive appearing with — well, James Carville and Ken Starr on Larry King Live, and this is how it sounded. “LARRY”: Good evening, and welcome to Larry King Alive. Our topic tonight, “Is Ken Starr Out of Control?” In our Little Rock studio, special counsel Ken Starr. “LARRY”: And in our Washington studios, Clinton advisor and former campaign manager, James Carville. “LARRY”: Thank you, James. But let’s hear from Ken Starr first. Ken, are you a madman? “CARVILLE”: — to destroy the president, ’cause he’s crazy! He’s so crazy with tobacco money, he’s lost his mind. You can hear it in his voice. He not only wants to destroy the president, he wants to kill all your children. He wants your babies dead. He’s been giving cartoons of cigarettes to every kindergartener in America, and he ain’t gonna stop ’til all your babies are smoking like Joe Camel! “LARRY”: Ken, why would you give cigarettes to 5-year-olds? “CARVILLE”: You see? He just said he “never” didn’t give no cigarettes to your babies. And he’s also been around showing your babies how to play with matches, ’cause he’s been taking all kind of money from them (Cajun) Bic Zippo lighter match people ’cause he’s a madman, Larry, a killer who wants the president and all your babies dead! And you know what else? Ken Starr’s a space alien. He ain’t even a real man! He’s from Mars. That’s right. A madman from Mars, and they’re invading the planet. He flies around a space ship handing out cigarettes made by little green men to kill your babies and destroy our president. “LARRY”: Pretty serious charges, Ken Starr. Are you an alien? “CARVILLE”: Larry, you can’t trust a madman Martian out to kill your babies with cigarettes and matches and destroy our president, the most moral man in America! It’s a war, Larry! It’s a war! Bill Clinton against the invaders from Mars trying to kill you through secondhand smoke of kindergarteners, trying to burn down your house with matches and lighters as Ken Starr flies around in a spaceship. That’s it Larry! That’s the plan to get us and our president! “LARRY”: Quite a compelling argument. Well, we’re out of time. Now, tomorrow night our show will feature a completely different subject: A psychic that says Ken Starr is using mental vibrations to keep Susan McDougal awake at night. See you then.